This is another I’m reading for school (see last week’s teaser), and deals with a work of visual art. The portrait of the title is both one being painted by the author’s friend of the author himself, and the book I hold in my hands: a portrait of the painter. 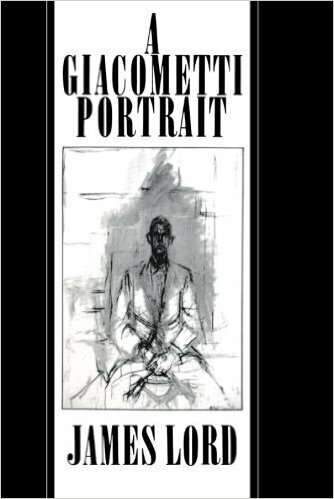 James Lord is in conversation with the painter Alberto Giacometti as the former sits for his portrait. “But is even a photograph really a reproduction of what one sees?” I asked. And I thought those lines began to capture part of what the book is about. Also, they spoke to me as a writer who tries to capture life. It makes it all a little futile, perhaps; or maybe it helps the artist to refocus. Plenty to think about.